GO SOLAR TODAY FOR NO MONEY DOWN! SAVE THOUSANDS ON ELECTRICITY GUARANTEED! WE WILL BEAT ANY COMPETITORS PRICE BY 5% OR MORE! DON’T BE FOOLED BY FRIVOLOUS LEASING SCHEMES! How will I save thousands? Prices of solar power systems have been dropping rapidly and government incentives help make them even more affordable. It is now cheaper to generate your own power using solar panels than it is to purchase electricity from the grid. Installing solar panels can save you up to 25% on your electricity costs over the lifetime of the system for savings of several thousand dollars. We are confident that our prices can’t be beat by any company in the business and to back that up we are willing to beat any of our competitors’ prices by at least 5%! Why choose Cristofe Luis Inc? Aside from our industry leading prices, Cristofe Luis Inc is one of the few solar energy companies that put ethics first. Installation is handled by professional engineers, master electricians and contractors who are all appropriately licensed, insured and experienced. Our model gives customers the ability to finance their system with no money down or purchase it outright rather than leasing. 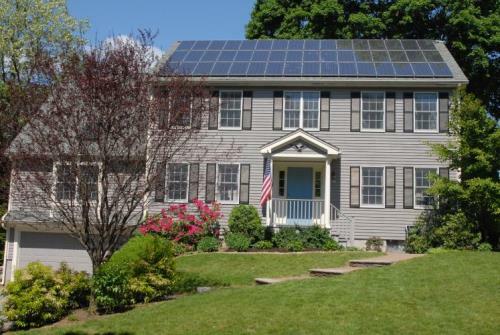 There are many benefits of ownership over leasing including increasing the value of your home, tax benefits, and being able to benefit from the solar panels for their entire useful life. We look out for your best interest because it’s the right thing to do. What’s so bad about leasing? Unfortunately most solar energy companies today are trying to get their customers to sign ridiculous lease agreements typically lasting 20 years. In these lease agreements customers face restrictions when selling their home and see little to no savings over the term of the lease. Sometimes lessee’s end up paying for the system 2 or 3 times over. At the end of the lease term the company will take back their solar panels to go make more money with them, either on the same property or a different one. In short a lot of these companies are blatantly ripping people off, we’re not into that. The first step is giving Chris a call at 646-646-2957 or emailing him at ctaylor@cristofeluis.com . Let him know that you would like to install solar on your rooftop. 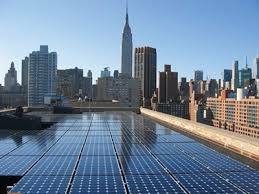 He will set up an appointment with you to verify that your home or building is fit for solar and figure out the best solution for your specific situation. P.S. If you know of someone besides yourself who is interested in going solar, be sure to ask about our referral program!